Grow-it-yourself Mushroom Material Workshop – Part 1 – Biotop Community Lab e.v. The first workshop of this year will be about biomaterials! 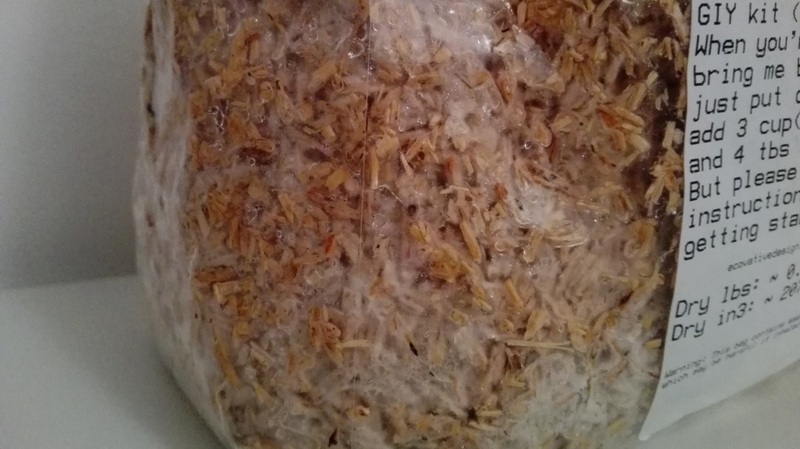 This biomaterial is obtained by growing mycelium, the root structure of mushrooms, onto a substrate, in this case agricultural waste, with a little water and flour. In little time, the mycelium colonizes the substrate forming an intricate root-like fibers that bind everything together. During this workshop you will get hands-on experience with the Mushroom Material, offered by Ecovative (check out their Website to explore all the potential!). You will learn how to handle it correctly and use it to grow your own custom object, to take home with you. In the second part, we will dry the objects, varnish and decorate them, so that you can bring them back home with you. We encourage you to bring/build your own mold, to grow an object of your choice. If interested, please get in touch with us beforehand. We would appreciate a small donation (around 12 €) to cover the material costs. Dr. Marco Raffaele Cosenza is both an academic biologist and DIYbiology enthusiast. Marco combines his passion for biology, art and new technologies to raise awareness in the general public about the upcoming biotechnology revolution and how biotechnology impacts our everyday lives. He is founder and president of Biotop Community Lab e.V., a community of people engaged in promoting democratization of science and access to biotechnology by hand-on experience and learn-by-doing education. If you would like to take part to the workshop, please register by filling the form here below and click submit. You will then recieve additional information and updates about the workshop. Registration is valid for both days and will help us to have an idea on how many people will join and to prepare enough mushroom material.